Sleep Problems: An Early Warning Sign of Alzheimer's? Warming Climate, More Sleepless Nights? Apnea, biological clock, cataplexy, circadian rhythm, delayed sleep phase syndrome, DSPS, insomnia, non-rapid eye movement, narcolepsy, night terrors, NREM, polysomnogram, rapid eye movement, RBD, REM, REM sleep behavior disorder, sleep, sleep apnea, sleep center, sleep disturbances, sleep paralysis. Sleep disorders occur when an individual has problems with his/her sleep cycle. As a result, it may take patients longer to fall asleep, patients may wake up during the night, wake up early, they may fall asleep throughout the day, have severe nightmares (called night terrors), act out their dreams, or stop breathing during sleep. The most common types of sleep disorders include delayed sleep phase syndrome (DSPS), insomnia, narcolepsy, night terrors, REM sleep behavior disorder (RBD), and sleep apnea. There are two phases of sleep: non-rapid eye movement (NREM) sleep and rapid eye movement sleep (REM). The first hour or two of sleep is called NREM sleep. During this phase, the brain waves slow down. After one to two hours of NREM sleep, the brain activity increases, and REM sleep begins. This is when most dreaming occurs. During REM sleep, the eyes (although closed) move rapidly, breathing becomes irregular, blood pressure rises, and individuals are in a state of temporary sleep paralysis. This temporary immobility prevents individuals from acting out their dreams. 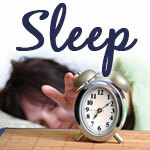 Most sleep disorders can be managed with lifestyle changes and/or medications. Melatonin: The natural hormone known as melatonin helps to regulate sleep/wake cycles (circadian rhythm). Certain diseases such as cancer, prescription medications such as benzodiazepines, and age may decrease melatonin levels. Several human trials suggest that melatonin taken by mouth, started on the day of travel (close to the target bedtime at the destination) and continued for several days helps with symptoms of jet lag such as reducing the number of days required to establish a normal sleep pattern, diminishing the time it takes to fall asleep ("sleep latency"), improving alertness, and reducing daytime fatigue. Although these results are compelling, the majority of studies have had problems with their designs and reporting, and some trials have not found benefits. Overall, the scientific evidence does suggest benefits of melatonin in up to half of people who take it for jet-lag. More trials are needed to confirm these findings, to determine optimal dosing, and to evaluate use in combination with prescription sleep aids. Caution is advised when taking melatonin supplements, as numerous adverse effects including drug interactions are possible. Melatonin is not recommended during pregnancy or breastfeeding, unless otherwise advised by a doctor. Melatonin should not be used long-term (nightly for more than four weeks). Melatonin: Melatonin has been studied for delayed sleep phase syndrome (DSPS), insomnia in the elderly, sleep disturbances in children with neuro-psychiatric disorders, and sleep enhancement in healthy individuals. Although study results are promising, additional research with larger studies is needed before a conclusion can be made. Caution is advised when taking melatonin supplements, as numerous adverse effects including drug interactions are possible. Melatonin is not recommended during pregnancy or breastfeeding, unless otherwise advised by a doctor. Melatonin should not be used long-term (nightly for more than four weeks). Case reports raise concerns about risks of blood clotting abnormalities (particularly in patients taking warfarin), increased risk of seizure, and disorientation with overdose. Music therapy: Music is used to influence physical, emotional, cognitive and social well-being, and improve quality of life for healthy people, as well as those who are disabled or ill. It may involve either listening to or performing music, with or without the presence of a music therapist. In older adults music may result in significantly better sleep quality as well as longer sleep duration, greater sleep efficiency, shorter time needed to fall asleep, less sleep disturbance and less daytime dysfunction. There is also evidence of benefit in elementary age children who use music during naptime and bedtime. Music therapy is generally known to be safe. 5-HTP (5-hydroxytryptophan): 5-HTP is the precursor of the neurotransmitter serotonin. It is obtained commercially from the seeds of the plant Griffonia simplicifolia. Although many naturopathic regimens for sleep include 5-HTP, there is insufficient evidence in its use for sleep disorders or insomnia. Additional studies are needed before a conclusion can be drawn. 5-HTP may cause drug interactions with medications such as antidepressants and sleep medicines. 5-HTP is not recommended during pregnancy or breastfeeding, unless otherwise advised by a doctor. Acupressure, Shiatsu: Shiatsu literally means finger (Shi) pressure (Atsu) in Japanese. Shiatsu technique involves finger pressure at acupoints and along body meridians (divisions). It may incorporate palm pressure, stretching, massaging and other manual techniques. Preliminary research suggests that acupressure may be beneficial for improving sleep quality and for providing early prevention and treatment for sleep apnea, a common cause of insomnia. Further research is necessary to confirm these findings. With proper training, acupressure appears to be safe if self-administered or administered by an experienced therapist. No serious long-term complications have been reported in the available literature. Hand nerve injury and herpes zoster ("shingles") cases have been reported after shiatsu massage. Forceful acupressure may cause bruising. Acupuncture: The practice of acupuncture originated in China 5,000 years ago. Traditional Chinese medicine commonly uses acupuncture to treat insomnia. A review of available studies found reports of benefit, but major weaknesses in the design of the research makes the evidence insufficient at this time. Aromatherapy: Aromatherapy is a technique in which essential oils from plants are used with the intention of preventing or treating illness, reducing stress, or enhancing well-being. The oils are applied to the skin, sprayed in the air, or inhaled. Early research suggests that chamomile or lavender aromatherapy may be beneficial for improving sleep quality. Preliminary research also suggests that aromatherapy may be effective in the treatment of pediatric sleep apnea. More data are needed before definitive conclusions can be made. Ayurveda: Ayurveda, which originated in ancient India over 5,000 years ago, is probably the world's oldest system of natural medicine. There is evidence that a traditional Ayurvedic formula (Blissful Sleep®, Maharishi Ayurvedic Products International) containing valerian (Valeriana wallichi), rose petals (Rosa centifolia), muskroot (Nardostachys jatamansi), heart-leaved moonseed (Tinospora cordifolia), winter cherry (Withania somnifera), pepper (Piper nigrum), ginger (Zingibar officinalis), aloeweed (Convolvulus pluricalis), and licorice root (Glycyrrhiza glabra) may decrease sleep latency (time needed to get to sleep) in people with sleep-onset insomnia, with no side effects. Further research is needed to confirm these results. Ayurvedic herbs can interact with other herbs, foods, and drugs. 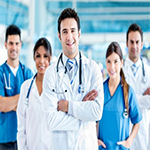 A qualified healthcare professional should be consulted before taking. Ayurvedic herbs should be used cautiously because they are potent and some constituents can be potentially toxic if taken in large amounts or for a long time. Some herbs imported from India have been reported to contain high levels of toxic metals. Use guggul cautiously with peptic ulcer disease and avoid taking with sour food, alcohol, and heavy exercise. Avoid Ayurveda with traumatic injuries, acute pain, advanced disease stages, and medical conditions that require surgery. Chamomile: Chamomile (Matricaria recutita) has been used medicinally for thousands of years, and is widely used in Europe. Traditionally, chamomile preparations, such as tea and essential oil aromatherapy, have been used as a sleep aid and for sedation. Better research is needed. Chamomile is not recommended for individuals allergic to flowers in the daisy family, or during pregnancy or breastfeeding, unless otherwise advised by a doctor. Chiropractic: Chiropractic healthcare is a discipline that focuses on the relationship between musculoskeletal structure (primarily the spine) and body function (as coordinated by the nervous system), and how this relationship affects the preservation and restoration of health. The broad term "spinal manipulative therapy" incorporates all types of manual techniques, including chiropractic. Although physical manipulation is used traditionally for jet lag, there is not enough reliable scientific evidence at this time. Use extra caution during cervical adjustments. Use cautiously with acute arthritis, conditions that cause decreased bone mineralization, brittle bone disease, bone softening conditions, bleeding disorders, and migraines. Use cautiously with risk of tumors or cancers. Avoid with symptoms of vertebrobasilar vascular insufficiency, aneurysms, unstable spondylolisthesis, or arthritis. Avoid if taking drugs that increase the risk of bleeding. Avoid in areas of para-spinal tissue after surgery. Avoid if pregnant or breastfeeding due to a lack of scientific data. Creatine: Creatine is an amino acid that is produced in the muscles. Early studies of creatine in animals and humans have found mixed results in patients with a breathing disorder in infants called apnea of prematurity. Well-designed studies are needed to better understand this relationship. Avoid if allergic to creatine or if taking diuretics. Use cautiously with asthma, diabetes, gout, kidney, liver, or muscle problems, stroke, or with a history of these conditions. Avoid dehydration while taking creatine. Avoid if pregnant or breastfeeding. Focusing: Focusing (experiential therapy) is a method of psychotherapy that involves being aware of one's feelings surrounding a particular issue and understanding the meaning behind words or images conveyed by those feelings. Behavioral intervention may improve sleep, especially in those who chronically use medication to treat insomnia. More research is needed to determine whether focusing can effectively treat insomnia, and whether it can ease withdrawal symptoms when chronic users stop medication. Side effect reporting is rare, but patients should consult with a qualified healthcare practitioner before making decisions about medical conditions and practices. Individuals with severe emotional difficulties should not abandon proven medical and psychological therapies but rather choose focusing as a possible adjunct therapy. Guided imagery: Therapeutic guided imagery uses the power of the imagination as a healing tool. Guided imagery may be used to help patients relax and focus on images associated with personal issues they are confronting. Early research supports the value of combined pharmacotherapy and relaxation training in the treatment of insomnia. Further research is necessary. Guided imagery is usually intended to supplement medical care, not to replace it, and should not be relied on as the sole therapy for a medical problem. Hops: Hops may have sedative and sleep-enhancing (hypnotic) effects. However, little human research has evaluated the effects of hops on sleep quality and insomnia. Further study is needed in this area. Hops may cause drowsiness, so caution is used when operating an automobile or heavy machinery. Hops supplements are not recommended during pregnancy or breastfeeding, unless otherwise advised by a doctor. Hypnotherapy, hypnosis: Hypnotherapy or hypnosis uses the power of suggestion to help individuals overcome various health issues such as insomnia. Several early studies report that hypnosis may decrease the amount of time it takes to fall asleep, increase the duration of sleep, and improve sleep quality. However, this research is not well designed or reported, and cannot be considered definitive. Kava: Kava may cause sedation or lethargy. However, early research suggests that kava may not be effective for insomnia. Additional study is needed in this area. Consult with a qualified healthcare professional before taking kava due to the risk of harmful side effects. Avoid if allergic to kava or kavapyrones. Avoid with liver disease, Parkinson's disease, a history of medication-induced extrapyramidal effects, and chronic lung disease. Avoid if taking medications for liver disease or CNS depressants such as alcohol or tranquilizers. Avoid while driving or operating heavy machinery (may cause drowsiness). Use cautiously with depression or if taking antidpressants. Avoid if pregnant or breastfeeding. Kundalini yoga: Kundalini yoga is one of many traditions of yoga that share common roots in ancient Indian philosophy. It is comprehensive in that it combines physical poses with breath control exercises, chanting (mantras), meditations, prayer, visualizations, and guided relaxation. Limited available study suggests improved sleep quality with the help of a regime of Kundalini yoga practices. However, there is insufficient evidence for or against this intervention for insomnia. Avoid exercises that involve stoppage of breath with heart or lung problems, insomnia, poor memory, or poor concentration. Avoid certain inverted poses with disc disease of the spine, fragile or atherosclerotic neck arteries, extremely high or low blood pressure, glaucoma, detachment of the retina, ear problems, severe osteoporosis, cervical spondylitis, or if at risk for blood clots. Use cautiously with mental disorders. Kundalini yoga is considered safe and beneficial for use during pregnancy and lactation when practiced under the guidance of expert instruction. Teachers of yoga are generally not medically qualified and should not be regarded as sources of medical advice for management of clinical conditions. Lavender: Lavender aromatherapy is often promoted as a sleep aid and hypnotic. Although early evidence suggests possible benefits, more research is needed before a firm conclusion can be drawn. Lemon balm: Lemon balm (Melissa officinalis) is a commonly used herb with a lemon like smell. High-quality clinical evidence supporting the use of lemon balm as a sedative/hypnotic is lacking, although it has been used with positive results with valerian for improving sleep quality. Rigorous clinical studies are required to better support the use of lemon balm as a sedative/hypnotic. Lemongrass: Lemongrass is used in Brazilian folklore for nervous disturbances; however, early study of lemongrass has not confirmed its use for sedation. More research is warranted in this area. Avoid if allergic or hypersensitive to lemongrass, its constituents, or any members of the Poaceae family. Use cautiously if taking diabetic or cardiac medications or medications metabolized by cytochrome P450. Use cautiously with liver conditions. Avoid if pregnant or breastfeeding. Meditation: There is currently not enough clinical evidence indicating that meditation improves sleep disorders in patients with breast cancer, drug abuse problems, or in healthy subjects. Additional research is needed in this area. Use cautiously with underlying mental illnesses. People with psychiatric disorders should consult with their primary mental healthcare professionals before starting a program of meditation and should explore how meditation may or may not fit in with their current treatment plans. Avoid with risk of seizures. The practice of meditation should not delay the time to diagnose or treatment with more proven techniques or therapies. Meditation should not be used as the sole approach to illnesses. Melatonin: There is limited consistent evidence on the effectiveness of melatonin for circadian rhythm entraining in blind persons, insomnia of unknown origin in the non-elderly, REM sleep behavior disorder, sleep disturbances due to pineal region brain damage, or work shift sleep disorder. Better research is needed before a conclusion can be made. Passionflower: Passionflower has a long history of use for sedation for reducing symptoms of restlessness, anxiety, and agitation. Early evidence from animal studies and weak human trials supports these uses. Better research is needed before a firm conclusion can be made. Avoid if allergic to passion flower or any of its constituents. Avoid consuming raw Passiflora fruit (Passiflora adenopoda), due to possible cyanide constituents. Avoid driving or operating heavy machinery while taking passion flower. Use cautiously with low blood pressure. Avoid if pregnant or breastfeeding. Relaxation therapy: Relaxation techniques include behavioral therapeutic approaches that differ widely in philosophy, methodology, and practice. The primary goal is usually non-directed relaxation. Most techniques share the components of repetitive focus (on a word, sound, prayer phrase, body sensation, or muscular activity), adoption of a passive attitude towards intruding thoughts, and return to the focus. Several human trials suggest that relaxation techniques may be beneficial in people with insomnia, although effects appear to be short-lived. Research suggests that relaxation techniques may produce improvements in some aspects of sleep such as sleep latency and time awake after sleep onset. Better research is necessary before a firm conclusion can be drawn. Avoid with psychiatric disorders such as schizophrenia/psychosis. Jacobson relaxation (flexing specific muscles, holding that position, and then relaxing the muscles) should be used cautiously with illnesses such as heart disease, high blood pressure, or musculoskeletal injury. Relaxation therapy is not recommended as the sole treatment approach for potentially serious medical conditions and should not delay the time to diagnosis or treatment with more proven techniques. Tai chi: Tai chi techniques aim to address the body and mind as an interconnected system. Tai chi may lead to improved sleep quality in older adults with sleep disorders. More studies are needed before definitive recommendations can be made. Valerian: Valerian root (Valerian officinalis) has long been used as a sedative and anti-anxiety treatment. Although valerian has not been studied specifically as a sedative, evidence from studies conducted for other purposes suggests that valerian may not have significant sedative effects when used at recommended doses. Therefore, even though valerian could be helpful as a sleep aid, it does not appear to cause sedation. Several studies in adults suggest that valerian may improve quality of sleep and reduce the time to fall asleep (sleep latency), for up to four to six weeks. Ongoing nightly use may be more effective than single-dose use for insomnia, with effects increasing and then leveling out over the first four weeks of use. Better effects have been found in poor sleepers. However, most studies have not used scientific methods of measuring sleep improvements, such as sleep pattern data in a sleep laboratory. Caution is advised when taking valerian supplements, as numerous adverse effects including drowsiness and drug interactions are possible. Caution is also advised when operating heavy machinery or an automobile. Valerian is not recommended during pregnancy or breastfeeding, unless otherwise advised by a doctor. Yoga: Yoga is an ancient system of relaxation, exercise, and healing with origins in Indian philosophy. Preliminary research reports that yoga may benefit sleep efficiency, total sleep time, number of awakenings, and quality of sleep in patients with insomnia. Vitamin B12: Taking vitamin B12 orally, in methylcobalamin form, with or without bright light therapy, does not seem to be effective for treating primary circadian rhythm sleep disorders. Additional research would help to confirm these results. Avoid if allergic or hypersensitive to cobalamin, cobalt, or any other vitamin B12 product ingredients. Avoid with coronary stents (mesh tube that holds clogged arteries open) and Leber's disease. Use cautiously if undergoing angioplasty and with anemia. Vitamin B12 is generally considered safe when taken in amounts that are not higher than the Recommended Dietary Allowance (RDA). There is not enough scientific data available about the safety of larger amounts of vitamin B12 during pregnancy and/or breastfeeding. Avoid consuming caffeine (such as coffee or tea) or using nicotine (such as cigarettes) one to two hours before bedtime. Caffeine is a stimulant that may make it difficult to fall asleep. Performing quiet and relaxing activities, such as taking a warm bath or reading, may help individuals fall asleep quicker. These activities have also been shown to help prevent night terrors in children. Night terrors usually occur at the same time each night. Parents or bedmates can wake up individuals a few minutes before a night terror is suspected to occur. However, this should not be performed more than once a night because it will disrupt the individual's sleep and may make the individual feel drowsy the next day. Children who are overtired are more likely to experience night terrors. If a child is not getting enough sleep, try an earlier bedtime or a more regular sleep schedule. Avoid large meals and excessive fluids before bedtime, as they can cause trouble falling asleep. Controlling the environment, such as light, noise, and temperature, may help prevent insomnia. Night shift workers especially must address these factors. Going to bed at the same time daily helps develop the natural circadian rhythm cycle and the sleep/wake cycle. Maintaining a healthy body weight helps reduce the risk of developing sleep apnea. Patients with sleep apnea should avoid sleeping on their backs. This position increases the risk of breathing problems during sleep. Patients with sleep apnea should avoid alcohol and other sedative medications. These relax the muscles in the back of the throat and may interfere with breathing during sleep. Patients with narcolepsy should also avoid alcohol, or drugs, herbs, or supplements that cause drowsiness. These substances may worsen symptoms of narcolepsy. American Academy of Family Physicians. Information from your family doctor. Nightmares and night terrors in children. Am Fam Physician. 2005 Oct 1;72(7):1322. American Sleep Apnea Association. .
Chakravorty SS, Rye DB. Narcolepsy in the older adult: epidemiology, diagnosis and management. Drugs Aging. 2003;20(5):361-76. Fronczek R, van der Zande WL, van Dijk JG, et al. Narcolepsy: a new perspective on diagnosis and treatment. Article in Dutch. Ned Tijdschr Geneeskd. 2007 Apr 14;151(15):856-61. Madani M, Madani F. The Pandemic of Obesity and Its Relationship to Sleep Apnea. Atlas Oral Maxillofac Surg Clin North Am. 2007 Sep;15(2):81-88. National Institute of Neurological Disorders and Stroke (NINDS). .
Smith SD. Oral appliances in the treatment of obstructive sleep apnea. Atlas Oral Maxillofac Surg Clin North Am. 2007 Sep;15(2):193-211. The National Sleep Foundation. .
Thorpy M. Therapeutic advances in narcolepsy. Sleep Med. 2007 Jun;8(4):427-40. Epub 2007 May 1. Overview: Delayed sleep phase syndrome (DSPS), also called circadian rhythm sleep disorder- delayed sleep phase type, occurs when a person's internal clock is not in sync with the normal sleep patterns of most adults. The patient's sleep pattern is delayed by two or more hours, causing later bedtimes and wake times. When patients follow their internal clocks and go to bed when they are tired, they get enough sleep. However, patients with DSPS have abnormal internal clocks, and they typically do not feel tired until 2:00 a.m. or later. Since this does not match normal school and work schedules, patients feel tired when they try to follow conventional sleeping schedules. DSPS patients typically find that sleeping aids do not help them fall asleep any earlier. DSPS is a long-term condition that is most common among adolescents. DSPS can develop suddenly or gradually. Symptoms generally go away spontaneously without treatment. Causes: DSPS is not caused by jet lag, working late shifts, working irregular shifts, or other external factors. Instead, DSPS is caused by an abnormality in the patient's internal clock (called the circadian rhythm). Symptoms: Patients with DSPS generally have difficulty falling asleep before 2:00 a.m. Individuals often feel tired upon waking. Individuals may continue to feel fatigued or drowsy throughout the day. Diagnosis: If it is suspected that a patient has DSPS, the individual may be asked to keep a sleep log. In the log, the patient writes what time they fell asleep and woke up each day. In order for DSPS to be diagnosed, symptoms must last at least three months. However, DSPS is often misdiagnosed because symptoms of this disorder are very general and similar to insomnia or some types of mental illness (such as depression). Treatment: There is currently no cure for DSPS, but symptoms generally go away on their own. Treatment is available to help manage symptoms by reprogramming the patient's internal clock. The goal is to synchronize the patient's sleep patterns with their work and/or school schedules. Treatment often includes light therapy and chronotherapy. Patients may also benefit from melatonin supplements taken 30 minutes to one hour before bed. Melatonin should be used cautiously because high doses may disturb sleep and cause nightmares and uncontrollable yawning the next day. If treatment does not help, patients may need to change their work and social lives to accommodate their internal clocks. Overview: Insomnia occurs when individuals have difficulty falling or staying asleep, and they wake up too early in the morning. It is a common health problem that can cause excessive daytime sleepiness and a lack of energy. Long-term insomnia may cause an individual to feel tired, depressed, or irritable. Individuals may also have trouble paying attention, learning, and remembering, which may prevent them from performing fully on the job or at school. Severe insomnia can result in neurochemical (brain chemical) changes that may lead to problems, such as depression and anxiety, further complicating the insomnia. Causes: There are many potential causes of insomnia. Psychological disorders, such as stress, anxiety, depression, and bipolar disorder, may lead to insomnia. Certain health conditions, including arthritis, overactive thyroid glands, gastrointestinal disorders (such as diarrhea or ulcers), Alzheimer's disease, Parkinson's disease, sleep apnea (discussed in detail below), and restless legs syndrome (RLS), may cause insomnia. Other factors, such as taking certain medications (such as stimulants, nasal decongestants, and some antidepressants), consuming caffeine, jet lag, wake-sleep pattern disturbances, excessive sleep during the day, and excessive physical or intellectual stimulation before bed, may cause insomnia. Symptoms: The main signs and symptoms of insomnia are trouble falling or staying asleep or waking early, followed by a distinct feeling of fatigue (tiredness) the following day. Most often, daytime symptoms will bring people to seek medical attention. Daytime problems caused by insomnia include anxiousness, irritability, fatigue, poor concentration and difficulty focusing, impaired memory, decreased motor coordination, irritability, impaired social interaction, and motor vehicle accidents because of fatigued, sleep-deprived drivers. Diagnosis: A doctor will ask the individual experiencing insomnia questions to evaluate his/her medical history. Questions investigate mental health problems, medications (prescription and non-prescription drugs, herbs, and supplements), history of pain, leisure habits, work and home situation, and others. The doctor will also inquire about the individual's sleep history. Questions about length and severity of the sleeping problem, routines before sleeping, snoring, and noise levels may also be asked. The doctor will also give the individual a full physical exam, including blood tests for conditions (such as thyroid problems) that may interfere with sleep. A polysomnogram is a recording of the breathing, movements, heart function, and brain activity during sleep. For this study, the individual sleeps overnight at a sleep center or hospital. A sleep study will be recommended if there are signs of sleep apnea or restless legs syndrome (RLS). Treatment: Treatment for insomnia depends on the underlying cause. For instance, if a psychological problem is causing symptoms, a healthcare provider may recommend psychotherapy or cognitive behavioral therapy. If a medication is the suspected cause, a healthcare provider may be able to recommend a different drug or dosage. There are many sedative-hypnotic medications available to help patients fall asleep and stay asleep throughout the night. Commonly prescribed medications for insomnia include temazepam (Restoril®), flurazepam (Dalmane®), estazolam (ProSom®), triazolam (Halcion®), zolpidem (Ambien®), zaleplon (Sonata®), and eszopiclone (Lunesta®). However, the U.S. Food and Drug Administration (FDA) has issued warnings for all sedative-hypnotic drugs used for sleep because they may cause serious side effects. Anaphylaxis and severe facial angioedema (swelling) can occur the first time a sleep product is taken. Complex sleep-related behaviors may include sleep-driving (driving while not fully awake, and with no memory of driving), making phone calls, and preparing and eating food while asleep. Over-the-counter (OTC) sleep aids may be used short-term to treat insomnia. For instance, diphenhydramine (Benadryl®) is the most commonly used OTC antihistamine sleep aid. It can be purchased alone (Benadryl®, Nytol®, or Sominex®) or in combination with other OTC items such as acetaminophen (Tylenol PM®). OTC sleep aids are not intended for long term use, because dependency can develop. Melatonin agonists, such as ramelteon (Rozerem®), have also been used to treat insomnia. Ramelteon promotes the onset of sleep by increasing levels of the natural hormone melatonin, which helps normalize normal circadian rhythm and sleep/wake cycles. These drugs are less likely to cause morning drowsiness than sedative-hypnotics. Side effects are generally mild and may include daytime sleepiness, dizziness, and fatigue. Sedating antidepressants, including trazodone (Desyrel®), amitriptyline (Elavil®), and doxepin (Sinequan®), have been used to treat insomnia. When used to promote sleep, these medicines are used in lower doses than when used to treat depression. Side effects may include dry mouth, blurred vision, a "hangover" in the morning, constipation, urinary retention, and nausea. Overview: Narcolepsy is a sleep disorder that occurs when individuals are overwhelmingly tired and spontaneously fall asleep throughout the day. Patients have a hard time staying away for extended periods of time, regardless of the circumstances or how much sleep they get. The severity of narcolepsy varies among patients. Most patients are diagnosed between the ages of 10 and 25. It is uncommon for patients to be diagnosed with the disorder when they are older than 40 years of age. Causes: Researchers are still performing studies to fully understand the causes of narcolepsy. Scientists believe that genetics may play a role in the disorder. However, since only about two percent of narcoleptic patients have family histories of the disorder, other factors besides genetics are probably involved. Narcoleptic patients may have imbalances in the brain chemicals that help control sleep. For instance, one chemical called hypocretin has been shown to help individuals wake from sleep and stay awake. Patients with narcolepsy typically have low levels of this chemical. However, researchers do not know what causes individuals to have low levels of hypocretin. It has been suggested that the body's immune system might attack hypocretin-producing cells by mistake. Symptoms: Patients with narcolepsy are excessively tired throughout the day. Individuals can fall asleep at any time or any place throughout the day. For instance, they may fall asleep in the middle of conversations with friends. These sleep attacks may last anywhere from a few minutes to a half hour. Individuals also experience decreased alertness and concentration. About 70% of narcoleptic patients also experience periodic episodes of cataplexy, which is a sudden and temporary loss of muscle tone. This condition, which may last anywhere from a few seconds to a few minutes, may cause symptoms that range from slurred speech and drooling to complete muscle weakness. Laughter or strong emotions, especially excitement and sometimes fear or anger, typically trigger cataplexy. Some patients may only experience cataplexy a few times a year, while others may experience symptoms several times a day. Sleep paralysis may also occur while the individual is falling asleep or awakening. This temporary inability to move typically lasts anywhere from a few seconds to several minutes. When sleep paralysis occurs, patients may feel scared because they are often aware of what is happening even though they cannot move. Some patients may experience hallucinations. This occurs if the patient is semi-awake when he/she starts dreaming. Additional symptoms may include restless nighttime sleep or sleepwalking. Some patients may also act out their dreams and talk or move their arms or legs. Diagnosis: If narcolepsy is suspected, the patient may be required to spend the night at a sleep center. During the night, a team of specialists will observe the patient's sleep patterns and behavior. Electrodes may also be placed on the patient's scalp before he/she falls asleep. This test, called a polysomnogram, measures the electrical activity of the brain and heart, as well as the movements of the muscles and eyes. Patients may also be asked to fill out a sleep questionnaire, called the Epworth Sleepiness Scale. This survey asks the patient to rank how tired they are during certain activities. A multiple sleep latency test may also be performed at a sleep center. The patient will be asked to take several naps that are about two hours apart. Narcoleptic patients will fall asleep quickly and enter rapid eye movement (REM) sleep almost immediately. Treatment: Because narcolepsy is a neurological disorder, the condition does not improve if the patient gets more sleep. Although there is no cure for narcolepsy, medications can help manage symptoms. Patients typically receive medications called central nervous system (CNS) stimulants. These drugs help narcoleptic patients stay awake during the day. Modafinil (Provigil®), a newer stimulant, is less addictive and better tolerated than other older types of stimulants. However, some patients need treatment with methylphenidate (Ritalin®) or other types of amphetamines. In addition, patients often take antidepressants, such as protriptyline (Vivactil®), imipramine (Tofranil®), and amitriptyline (Elavil®). These medications suppress REM sleep. As a result, they help control symptoms of cataplexy, hallucinations, and sleep paralysis. Another prescription medication, called sodium oxybate (Xyrem®), may also be prescribed to some patients. This medication, which is taken at night, helps reduce symptoms of sleep paralysis, hallucinations, and cataplexy. Even though this medication is taken at night, high doses may also help control daytime sleepiness. Serious side effects, including difficulty breathing during sleep, sleepwalking, and bedwetting, have been reported. Therefore, this medication is only taken when other medications are unsuccessful. Xyrem® is not sold in local pharmacies. Instead, a healthcare provider must enroll a patient in a restricted distribution risk-management program that offers the drug from a single centralized pharmacy, the Xyrem® Success ProgramT. Overview: Night terrors are similar to nightmares. However, night terrors are scarier and more intense. Night terrors typically cause individuals to scream and thrash about during sleep. Individuals usually do not remember their night terrors when they wake in the morning. Night terrors primarily affect young children, usually between the ages of four and 12. Night terrors during childhood are not usually a cause for concern, and most children outgrow night terrors by adolescence. In rare cases, adults may experience night terrors, usually in response to extreme stress or anxiety. Adults may benefit from medications if they experience frequent night terrors. Causes: Many factors, including fatigue, stress, illnesses (especially those that cause fevers) and medications that affect the brain or spinal cord (such as stimulants), may cause night terrors. Symptoms: Night terrors typically occur two to three hours after an individual has fallen asleep. During sleep, the patient may scream or yell, sit up in bed, thrash around, sweat, or breathe rapidly. If a parent or bedmate tries to hold or comfort the patient during a night terror, the patient may unknowingly put up a fight. Adults, who are larger and stronger than children, may even injure their bedmate as they thrash around during night terrors. Most night terrors only last a few minutes. Once the individual wakes up, he/she probably will not remember the episode. Diagnosis: Night terrors usually do not require a diagnosis. A healthcare provider may perform a physical and/or psychological exam to determine what might be triggering the terrors. Treatment: Children who experience night terrors generally do not require any treatment. Parents may gently restrain their children to try and calm them down. Speaking softly and calmly is recommended because shouting or shaking the child awake typically worsens the episode. Although rarely used, medications called benzodiazepines, such as clonazepam (Klonopin®) may be used short-term to reduce symptoms in children. Antidepressants, such as imipramine (Tofranil®), may also help if night terrors affect the child's performance at school. Adults may also benefit from these medications if they experience frequent night terrors or if they are harming their bedmates during episodes. If stress or anxiety seems to be causing night terrors, a healthcare provider may recommend psychotherapy. It is also important to ensure that the patient's bedroom is safe. For instance, children who experience night terrors should not sleep on the top of a bunk bed. Consider blocking stairways with a gate. Any sharp or unsafe objects should be out of the patient's reach. Overview: REM sleep behavior disorder (RBD) occurs when patients do not experience temporary paralysis during REM sleep. As a result, patients act out their dreams, which are often intense, vivid, and violent. The patient may yell, punch, kick, jump up from bed, and punch the air. RBD typically occurs in middle-aged to elderly patients. It is more common in men than women. Causes: The exact cause of RBD remains unknown. However, the disorder has been linked to many degenerative neurological (brain) disorders, including Parkinson's disease. It is important to note that not all patients with RBD develop neurological disorders. Symptoms of RBD may also occur during withdrawal from alcohol or sedative-hypnotic drugs. However, this form is only temporary and goes away once the person has gone through withdrawal. Symptoms: Patients with RBD act out their dreams. This may include yelling, screaming, thrashing around, kicking, punching, sitting up in bed, or getting out of bed during sleep. In some cases, RBD may cause self injury or injury to the bed partner. If the person wakes up in the middle of an attack, he/she is often able to remember the dream in detail. Diagnosis: A polysomnographic video recording is typically performed to diagnose RBD. During the test, the patient will spend the night at a sleep center. When the patient is asleep, researchers will monitor the electrical activity of the brain and heart, the movement of the muscles, the movements of the eyes, and breathing patterns. A video recording is also made to monitor the physical behavior of the patient during sleep. Patients with RBD will have an increase in muscle movements in association with increased brain activity. Overview: Sleep apnea is a serious condition that occurs when the individual stops breathing for short periods of time during sleep. Because sleep apnea causes individuals to wake up frequently throughout the night, patients are often drowsy during the day. Causes: There are two main types of sleep apnea: obstructive sleep apnea and central sleep apnea. Obstructive sleep apnea is the most common form that occurs when the muscles in the throat relax. These muscles support the soft palate, the small piece of tissue that hangs from the soft palate (called the ulva), the tonsils, and the tongue. When these muscles relax, the patient is unable to breathe. The brain senses this inability to breathe and causes the individual to wake up and start breathing again. This process may occur 20 to 30 times or more each hour during sleep. Most patients do not even realize this happens. Obstructive sleep apnea occurs most often in older adults. It is also twice as likely to occur in men as women. Obese individuals have an increased risk of experiencing obstructive sleep apnea because they have excess fat in their upper airways. Central sleep apnea occurs when the brain does not send proper signals to the muscles that control breathing during sleep. This is usually caused by heart disease. They are more likely to remember waking up in the middle of sleep than patients with obstructive sleep apnea. It is possible to have a combination of both types of sleep apnea, which is called complex sleep apnea. Central sleep apnea may develop at any age, and it affects males and females equally. Some evidence suggests that 15% of patients with sleep apnea have complex sleep apnea. In addition, individuals with central sleep apnea often wake up with shortness of breath and headaches. Patients with central sleep apnea may also experience shortness of breath and headaches when they wake up from sleep. Diagnosis: If sleep apnea is suspected, the patient may be asked to spend a night at a sleep center. At a sleep center, the patient's sleep patterns will be observed and analyzed. Several tests, including a nocturnal polysomnography, oximetry, and portable cardiorespiratory test, may be performed to monitor the patient's conditions. During a nocturnal polysomnography test, a specialist will monitor the electrical activity of the brain and heart, the movement of the muscles, the movements of the eyes, and breathing patterns of the patient during sleep. During an oximetry test, a small machine monitors and records the oxygen level of the patient during sleep. A small sleeve is placed over one of the fingers. This test may be performed at a sleep center or at home. Patients with sleep apnea will have low levels of oxygen before each awakening. A healthcare provider may give the patient a portable cardiorespiratory test to perform at home. These tests involve oximetry, measurement of breathing patterns, and the measurement of airflow. Treatment: Milder cases of sleep apnea may be treated with lifestyle changes, including weight loss and smoking cessation. More severe cases may be treated with devices to open the airway and/or surgery. A machine called a continuous positive airway pressure (CPAP) is the most common and effective treatment for patients with moderate to severe sleep apnea. This machine delivers air through a mask that is placed over the nose during sleep. The mask does not breathe for the patient. Instead, it pushes air into the patient's mouth when he/she inhales. This air movement keeps the airways open, preventing sleep apnea and snoring. Patients who use a CPAP should tell their doctors if their weight changes. If the patient loses or gains weight, the pressure settings may need to be changed. Patients may also wear devices over their mouths to control sleep apnea. Some devices bring the jaw forward in order to open the throat and control symptoms of mild obstructive sleep apnea. Patients should talk to their dentists to determine the best oral appliance for them. Patients should visit their dentists every six months for the first year once they find an oral appliance that works for them. After the first year, patients should visit their dentists and healthcare provider annually to make sure that the device is effectively relieving symptoms of sleep apnea. In addition to CPAP, patients with central sleep apnea may benefit from bilevel positive airway pressure (BiPAP). This device provides a higher air pressure when the patient inhales and a lower pressure when the patient exhales. The goal of this treatment is to strengthen the weak breathing pattern of central sleep apnea. Some machines can be set to automatically provide oxygen if the device detects a breath has not been taken in a certain amount of seconds. Another airflow device, called an adaptive servo-ventilation (ASV) may be used to treat central sleep apnea and complex sleep apnea. This device detects the patient's normal breathing pattern and stores it in a built-in computer. When the patient falls asleep, the machine uses the stored information to regulate the patient's breathing pattern and prevent sleep apnea. Moderate to severe sleep apnea may need to be treated with surgery. During surgery, the extra tissue from the throat or nose that is blocking the airway passage is removed.